So excited to share that Longing, a short film I directed has picked up an award in the Sydney Indie Film Festival for Best Feel Good Film. Also nominations for Best Director and Best Editor. This is such a beautiful confirmation for me of wanting to create a film that spoke to how we connect as people, and a reminder to put our focus on what matters most in life! Congratulations to all who worked with me on this project! And THANK YOU!! As part of ASMP’s National Media Day, honoring artistry and creativity layered throughout the photographic industry in the US, I was honored to have a 15 sec. trailer of Longing screened in TImes Square October 26th. Interview with Movie Maker Magazine online now. What an honour to be able to be part of this festival, and share about my inspiration and filmmaking experience! Thanks to the wonderful team at NFMLA and MovieMaker Magazine! 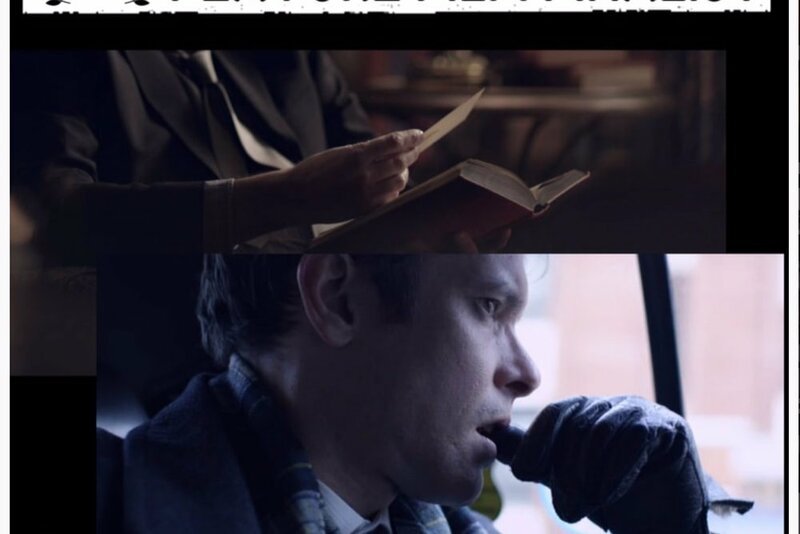 A pilot I helped shoot last year called ‘Cuff’ has just been picked up as an Official Selection in the New York Television Festival 2018. Congrats to the team, and thank you Craig Melville (DOP) and Laurence Shanet (Director) for having me on board! Longing screened as part of the NYC Independent Film Festival 2018 at The Producers Club in Manhattan. A very friendly screening amongst a great selection of varied and talented shorts. 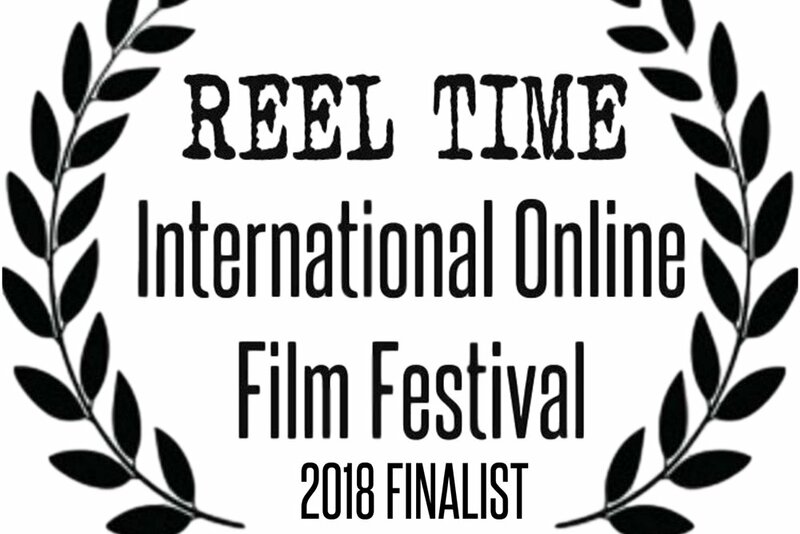 Longing a finalist in the Reel Time International Online Film Festival 2018. Looking forward to the screenings in July! Thanks for the shout out on Instagram! Looking forward to taking part! Sure to be a night of great films, and great people. Los Angeles CA 2018. Filmakers Anne Marie Hess, Andrew Acedo, Christian Mushenko and Danny De Lillo discuss the power of film at the NewFilmmakers LA Festival. Each have a passion to tell stories of connection, intimacy, family and self love. LONGING a short film I directed, written by Marque Kabbaz, shot by Campbell Brown,, is screening in the New[ York Zero Film Festival Nov. 14, Sydney Lift Off Online Festival Nov 20-22, and Toronto Cityflix Festival Nov 25-26th. LONGING was awarded Best Student Film in the 2017 Big Apple Film Festival. Christian's directorial debut film was completed as his thesis film as part of the MPS Directing at SVA. This course completed a Masters of Art started at COFA in Sydney in 2012. 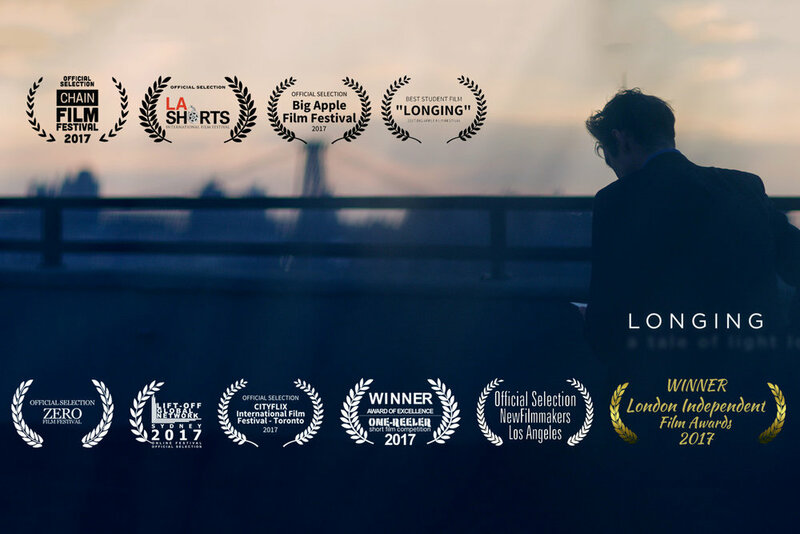 LONGING has picked up two awards: an Award of Excellence in the ONE REELER Competition, and a win in the LONDON INDEPENDENT FILM AWARDS. Very excited to be screening in LA SHORTS, an Oscar qualifying film festival in North Hollywood. Around 3000 submissions, needless to say the standard was very high! October 2016 PRODUCTION PARADISE features Sydney Lifestyle and Food Photographers. Screening in the SVA 2017 Short Film Festival, the thesis films from the MPS Directing Masters program. Led by industry legend Bob Giraldi.